New Delhi, Feb 2 (IANS) India has issued a demarche to the US asking it to release at the earliest Indian students detained in connection with their enrollment in a fraudulent university and not to deport them against their will. “A demarche was made to the Embassy of the United States in New Delhi by the Ministry of External Affairs. Our concern over the dignity and well-being of the detained students and the need for immediate consular access for Indian officials to the detainees was reiterated. “We underlined that students, who may have been duped into enrolling in the ‘university’, should be treated differently from those recruiters who have duped them. We have urged the US side to share full details and regular updates of the students with the government, to release them from detention at the earliest and not to resort to deportation against their will,” the release said. “We can confirm that the Embassy received a demarche from the Ministry of External Affairs about the Indian citizens detained in the United States this week. We refer you to the Department of Homeland Security in the United States for information on their status,” the spokesperson said. The MEA release said that officials posted at India’s mission and consulates have visited several detention centres in the US to extend consular assistance to detained students. “A 24/7 helpline has been established in our Embassy in Washington D.C. for assistance/queries related to the detention of Indian students. Telephone numbers are +1-202-322-1190 and +1-202-340-2590 and email: cons3.washington@mea.gov.in,” the release said. “We are on it! Mobilising resources and closely working with the US government to address the situation arising out of the detention of Indian students in the US. Welfare of those detained is the highest priority for us,” he said. 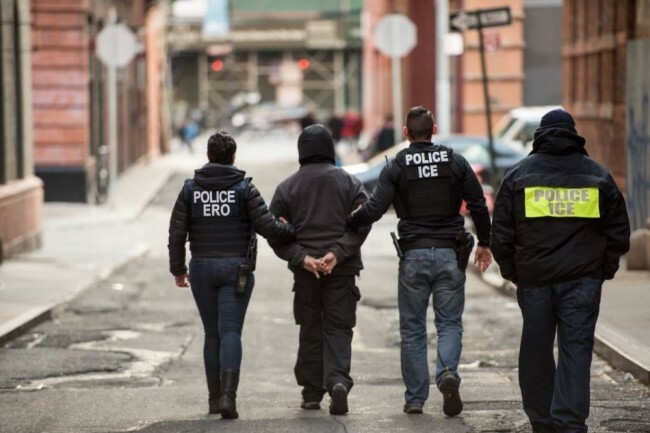 The US Immigration and Customs Enforcement (ICE) spokesperson Carissa Cutrell was quoted by Detroit Free Press on Thursday as saying that 130 students arrested so far in a “pay-to-stay” sting operation using a fake university face only civil immigration charges.